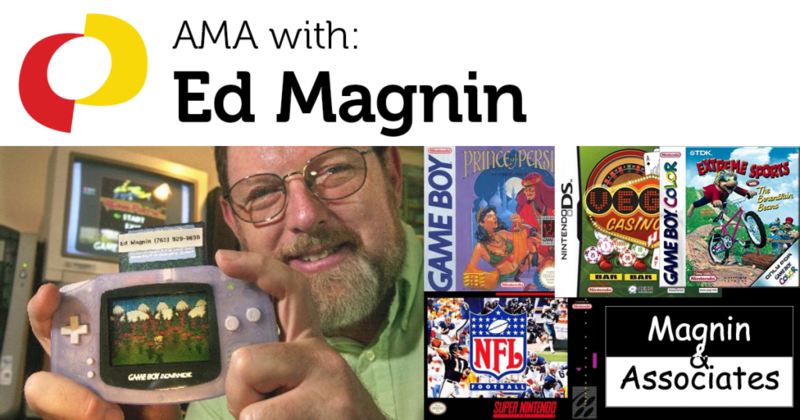 Ed Magnin has been working in the game industry for the past 35+ years. Earlier in his career he worked for some of the top game developers of their day – MicroProse, Cinemaware, Virgin Games, and Park Place Productions. Then in 1993, he founded Magnin & Associates and has focused on handheld games ever since — Nintendo Game Boy and DS, then iOS, Android and Windows games. This is a recording of an “Ask Me Anything” (AMA) session with Ed Magnin, hosted by the IGDA Student SIG. If you’re interested in doing an AMA with students, you can sign up here.